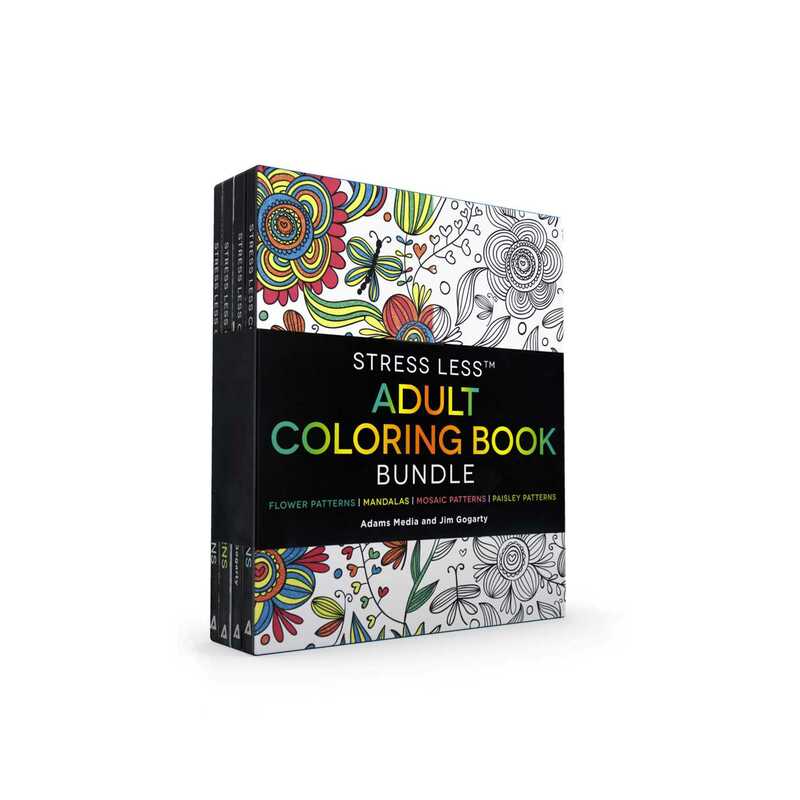 This adult coloring book boxed set gathers the four most popular volumes of the Stress Less Coloring series and provides detailed and engaging coloring patterns for hours of stress-relieving coloring fun. Relax with the power of coloring! This boxed set of four coloring books provides hours of calming enjoyment, with pattern-based designs including mandalas, paisley patterns, mosaics, and flowers. Each book contains 100 detailed images to fill in with your own unique palette, as the focused activity of coloring helps you release stress and take pleasure in the soothing motions of coloring. Whether you're new to the benefits of art therapy or have been coloring for years, you'll channel your inner calm and creativity with this adult coloring book collection! Jim Gogarty has had a passion for drawing for as long as he can remember, ranging from crayons to felt tips to today's digital pen. He began drawing mandalas in 2005 after a spiritual awakening during meditation. Since then, he has worked to turn this love for the symmetrical patterns into a career. He currently runs iHeartMandalas.com, where he brings these images to life.